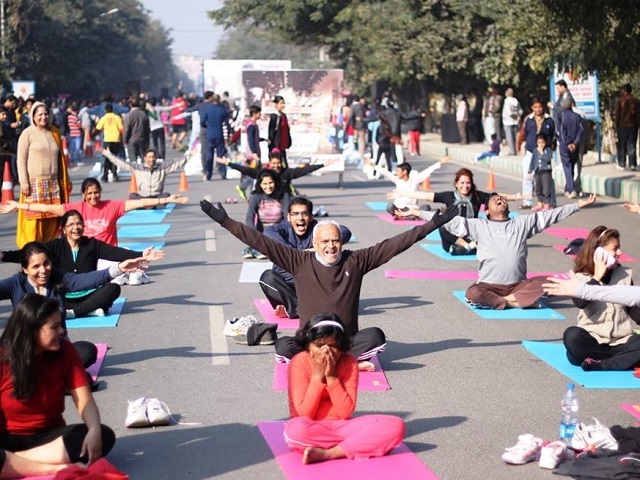 Ever since its launch in Gurgaon in 2013, Raahgiri Day—an open streets initiative—has become a game changer of sorts. It started as an experiment where community groups and individuals came together with public agencies in Gurgaon to temporarily provide safe and vibrant streets to people for walking and cycling by restricting motor vehicles. Today, it has become a national rage with Raahgiri Day style events taking place in over 36 locations every Sunday in several Indian cities, seeing over 300,000 people participating in these events. Raahgiri has also shown tangible impacts such as increases in cycle sales, more people walking and cycling over short distances, improved road safety and air quality, amongst others. However, two years later, even this wasn’t enough. Several people wanted this not just on Sunday, but on weekdays as well. In order to promote sustainable modes of commuting on a regular basis, the Gurgaon Police and Gurgaon Administration in partnership with the NASSCOM regional council and the EMBARQ mobility initiative of WRI Ross Center in India, with support from various businesses and media organizations started Car Free Day in Gurgaon on 22 September – World Car Free Day. Car Free Day Gurgaon was launched with the request that people voluntarily give up their cars every Tuesday, and instead, use alternate modes of commuting. While the regional council and local media helped spread the message, traffic police barred on-street parking on major arterials. Public agencies and private organizations helped provide alternate mode of transport, including buses. Car Free Day Gurgaon has been a big hit, with the inaugural event on September 22 reporting a 25 – 30 percent reduction in motorized traffic. NAGARRO, a local business, saw 100 percent of its 2,500 employees ditch their cars for alternative modes of transport. Other organizations like Fidelity, Genpact and others reported a 50 – 60 percent drop in car usage. However, the biggest impact was reduction in air pollution. This is heartening, as Delhi currently tops the list of the most polluted city in the world by the World Health Organization. Seeing the success of the inaugural event, the Gurgaon Police and other partners, showing the commitment to the cause, have decided to continue marking every Tuesday as Car Free Day in Gurgaon. Vehicle restriction and congestion-pricing have never been implemented in India. 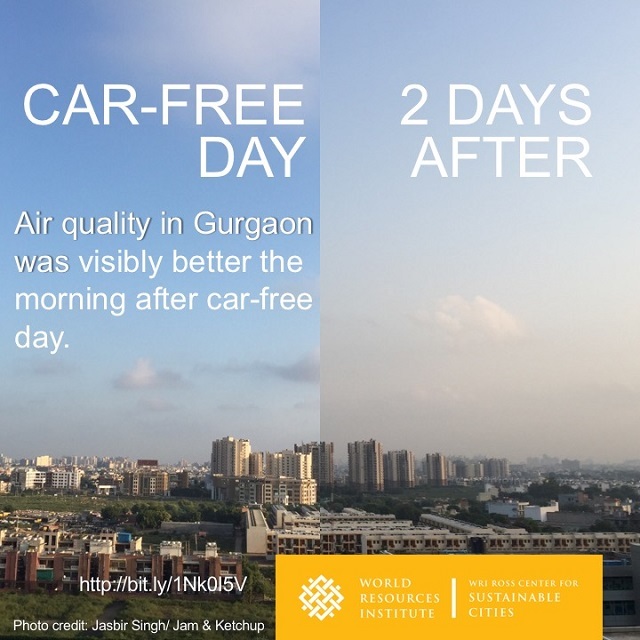 Car Free Day Gurgaon may just be the right way of introducing these measures. Alternative transport modes, like walking, cycling and public transport—coupled with restriction on the use of cars—can promote sustainable urban development in Indian cities.